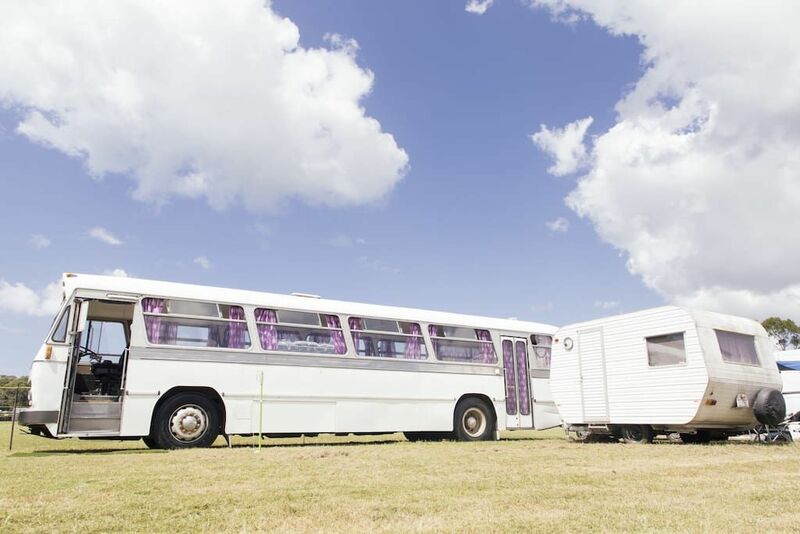 When glamping meets bus conversion, you're bound to get a match made in heaven. Australia's Byron Bay is among the places where visitors can embrace the gypsy lifestyle as they marvel at the shimmering coastlines. Just look for Emma and Cory, your soon-to-be Airbnb hosts. 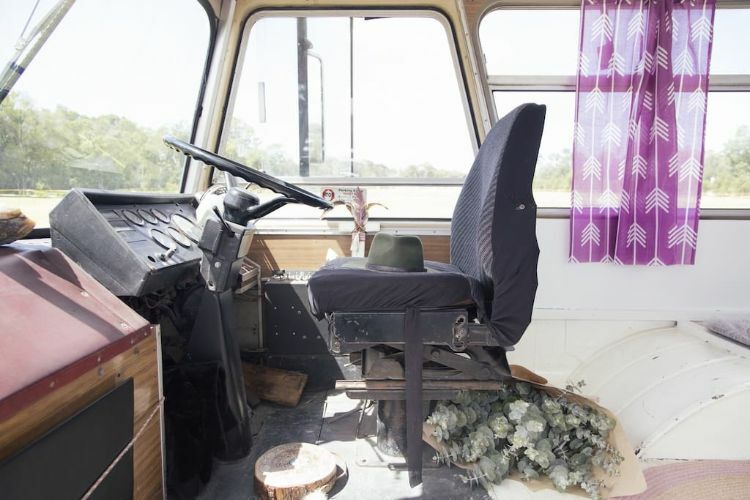 As innate explorers themselves, they have no issues with sharing their vintage-inspired bus with the town's keenest tourists. Here is the Gypsy Fleet in her finest glory. 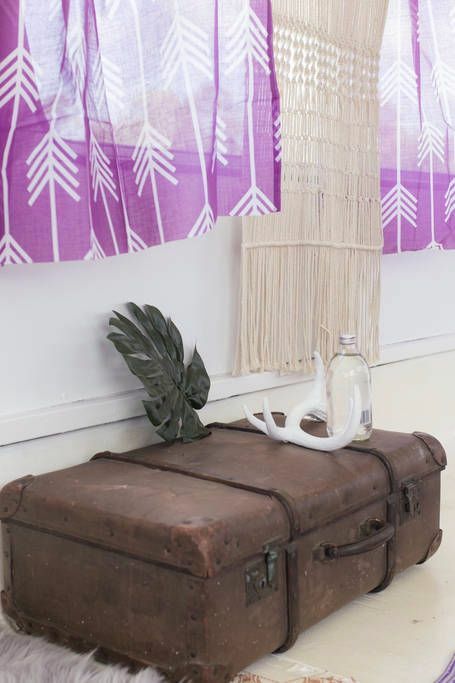 The purple curtains should foreshadow the vibrant inner beauty that awaits us on board. First time passing through Byron Bay? Cory and Emma can help with your campsite booking - the only thing you have to remember is to specify to your chosen site that you're traveling on a 40-foot (12.19-meter) bus. If you need tips on tourist sites and eating recommendations, your hosts will be most happy to oblige too! Ah, home sweet home. This humble abode may lack kitchen and bathroom facilities, but all of its furnishings will ensure you have a comfortable stay. 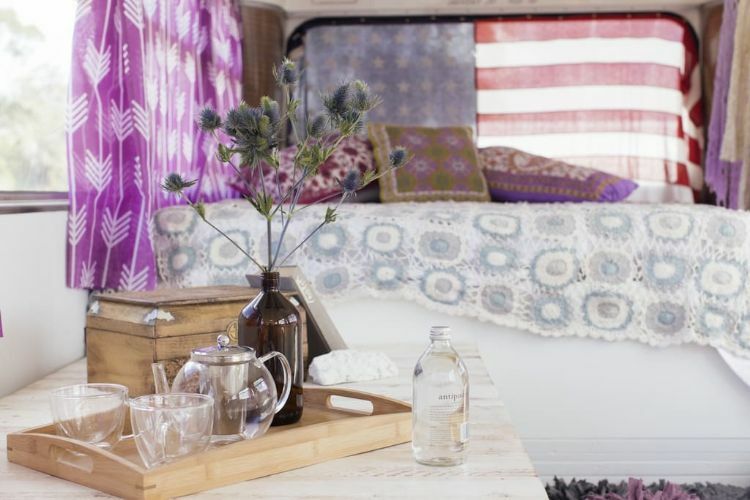 You won't need to worry about going completely off-grid here: There are power outlets and USB ports for you to plug in your gadgets, and the bus even comes with a portable fridge. 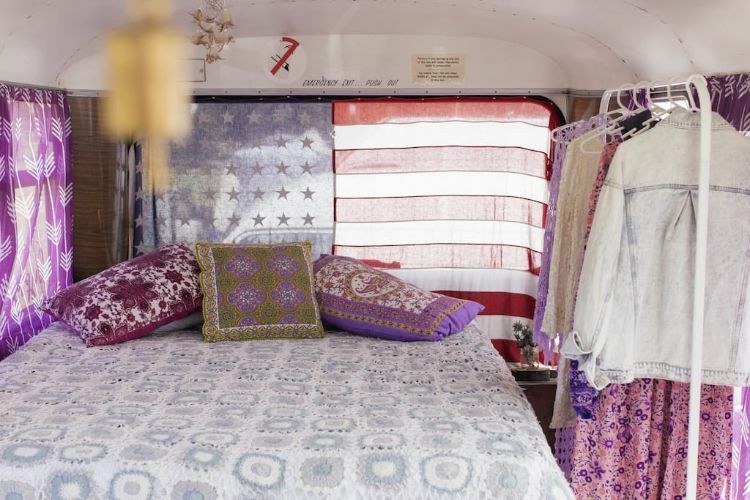 Purple hues envelop the gleaming interiors, creating its vibrant gypsy look. The warmth prevails in the wintry season as there is an electric fireplace fitted in this campsite dwelling. 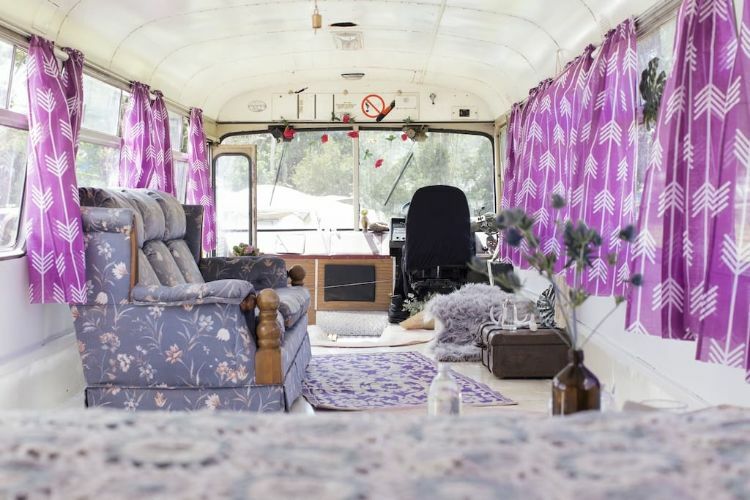 Charming decorative adornments will make you revel at the amount of care that went into making this converted bus feel like home. Travelers are always finding new trinkets and memorabilia - so naturally, a nomad's paradise will appeal to the antiquarian in all of us. Care to join us for a cup of tea? Whether you're down for a couple's getaway, or you are traveling with three of your closest friends, there is always time to unwind and enjoy the scenic views. After a long day of exploring Byron Bay's waterfalls and world-famous beaches, you can plop into a queen size bed as you sleep below the starry skies. No need to take things literally, though: For the traveling troupes, there's a floor mattress included in this Gypsy Fleet too. 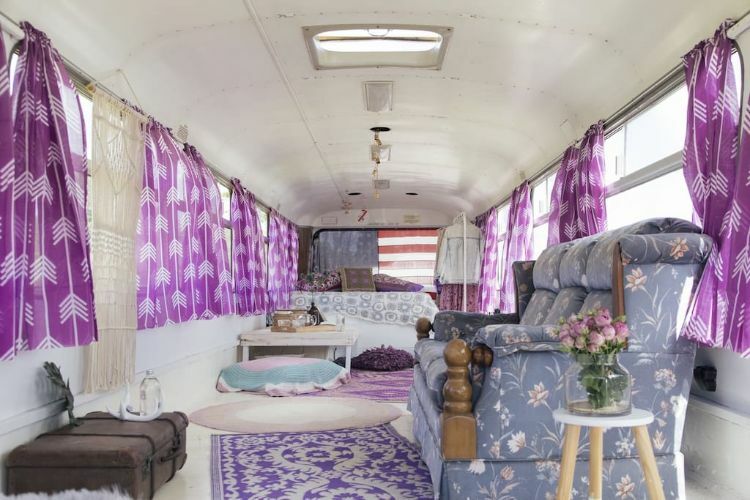 As you can see, this vintage gypsy bus takes glamping to a whole new level. 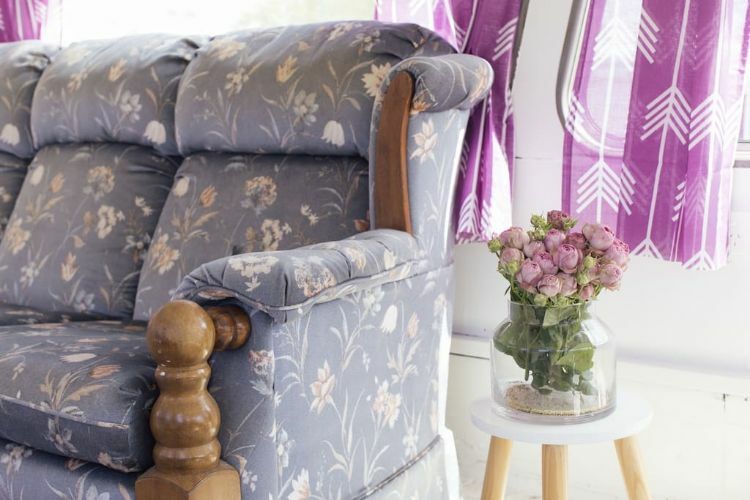 Indeed, visitors can marvel at Byron Bay's littoral attractions with the full confidence that an elegantly crafted mobile home awaits them after their wanderlust-filled endeavors.